Off the Beaten Path: It's Time to Plant! 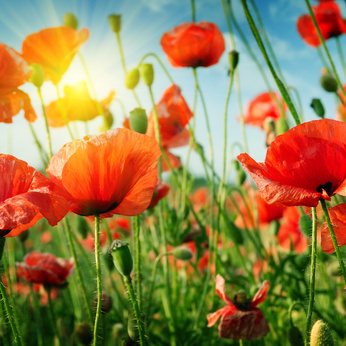 As you drive through some states in the spring time, you're sure to notice mounds of wildflowers in the medians or off the shoulders of the highways. In Texas, especially, you'll marvel at the tall, sapphire Blue Bonnets and the fiery orange-red Indian Paintbrushes. I've also noticed such glorious splashes of color along the highways in Arizona, Oklahoma, Colorado, and California as I'v traveled those roads. But did you realize that even many of those seemingly random patches of splendor and color are not so wild after all? That's right, many of the lovely wildflowers we see along the highways and byways were actually intentionally planted for our viewing enjoyment, thanks largely to First Lady, Lady Bird Johnson. In the same way, I know many Christians who sport a splash of divine color or two in their lives simply because the Holy Spirit has begun a good work in them. As they attend church, listen to Christian radio, or hang with godly friends, the seeds of good attitudes, good words, and good behavior are randomly scattered into their lives, eventually producing some good fruit. But then I know other Christians...you do, too,...who have more than a small scattering of holy color in their lives; they have full blown gardens of the radiant, glorious fruit of the Holy Spirit bursting forth, even in the most unusual landscapes...such as at work, in their finances, and on the tips of their tongues. In the places where many of us struggle to resemble the character of our Lord, these Christians give radiant testimony to His productivity in their lives. Isn't that the kind of glorious garden we wish to grow? That, sister, takes deliberate planting. 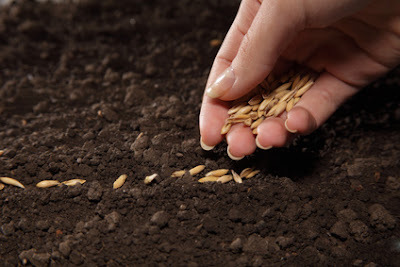 We can't just hope for a scattering of seed as the wind blows through the lives of our godly grandparents, over the Christian homes in which we were raised, or through the occasional sermon we take to heart. We have to prepare the soil (as mentioned here), pick up the right seed, and sow those little suckers. The best thing, bar none, we can intentionally plant into the ready soil of our lives is the Word of God. But even with these precious, holy words we run the risk of slow and less-than-stellar growth if we don't get intentional about the planting. Today I happened across a wonderful plan for planting God's Word deep into the soil of your life. I wish this were my formula, but it's not. I learned this simple "P Plan" from Priscilla Shirer, a wise and wonderful Bible teacher I've enjoyed learning from for several years now. In her Seed Bible study she outlines five simple steps for planting the seed of God's Word deep into your heart so that it can quickly take root, slowly develop into something firm and enduring, and then consistently bear some good fruit in your life, for the long haul. This method has worked well for me and countless others. And it's something for which you don't need a study book or even a facilitator. You can plant God's Word in your heart all by yourself...with the constant and pervasive help of the Holy Spirit, of course! 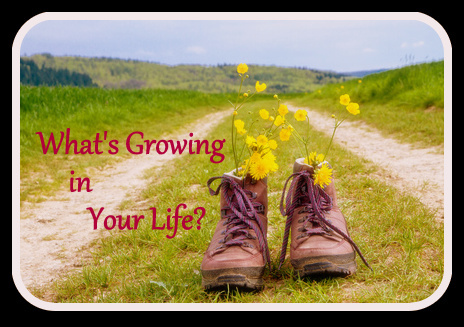 And so, while I've used similar approaches, I did not come up with these five steps that all begin with the letter P. But I share with you today Priscilla's tips for planting the seeds which will eventually produce glorious living color and enduring fruit in your life. Position yourself to hear from God. Take the time, sit down with your Bible, and approach God's Word prayerfully. Pore over the Passage and Paraphrase the major Points. Sometimes I want to read one sentence or verse and quickly move on to the next, anxious to see what else God has for me. But I'm learning to savor the morsels instead. Take time to meditate on, chew on, the small passage. Then reword it in your own simple words. Pull out the spiritual Principles. Priscilla suggests you close your Bible and look at your paraphrases. Ask what is God teaching here? What is He revealing about His character? Is there a promise, a command, or a condition I need to note? Pose the questions. Ask yourself personal questions about the principle being taught in the passage. "Am I obeying this command? Is there an area of my life in which I'm not practicing this principle? Have I veered away from God's teaching here? What should I do to get back on course? Plan obedience and Pin down a date. Priscilla goes so far as to suggest that you give yourself a date or deadline for following through with what you've learned from the passage. Maybe you need to forgive someone, confront someone in love, do an act of kindness, speak a good word, or give a gift, just to name a few actions of obedience. Remember, God's Word is never fully planted in our lives until we've agreed to obey it. Planting is not the same thing as scattering or leaving to chance. Sisters, we may long to have lives as beautiful as the patches of wildflowers you'll see in a few months along the byways, but keep in mind that even those gardens of "wildflowers" were probably carefully planted so they would be bold and profuse instead of wimpy and unimpressive displays. Take time with God's Word. It's good seed and it's worth planting well. 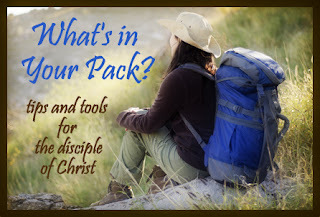 Which P step suggested by Priscilla Shirer is one you will adapt afresh? How do you make sure the Word is planted deep in your soul for lasting results?